RETRONAUT is a small family business. It all started in 2013 by finding a dilapidated chair out in the street – which turned out to be the iconic H-269 piece by the legendary Czech designer Jindrich Halabala. After restoring it to its former glory, I knew I had to go on. 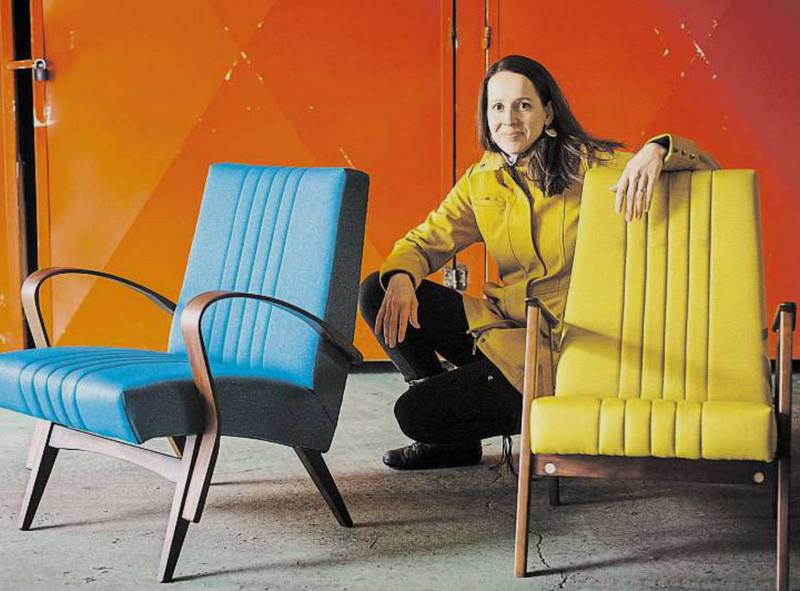 Since then, we have restored hundreds of chairs for our customers around Europe. We love Czechoslovak retro design showcased at the EXPO ’58 in Bruxelles and the work of Jindrich Halabala, whose H-269 chair became a worldwide design icon. Are you interested in a particular chair? Please inquire, we are very likely to find and restore it for you! We are proud to work with only the most skilled restorers and upholsterers. While the renovated frame always shows some signs of wear disclosing its age, the inside of the chairs (upholstery foam, springs etc.) is always completely new to guarantee many more years of service. We offer completely restored chairs from the 40’s to the 70’s. In addition to selling retro chairs after complete renovation, we accept custom orders. We have a number of chairs waiting for custom restoration, their wood tint and fabric matching perfectly your interior.